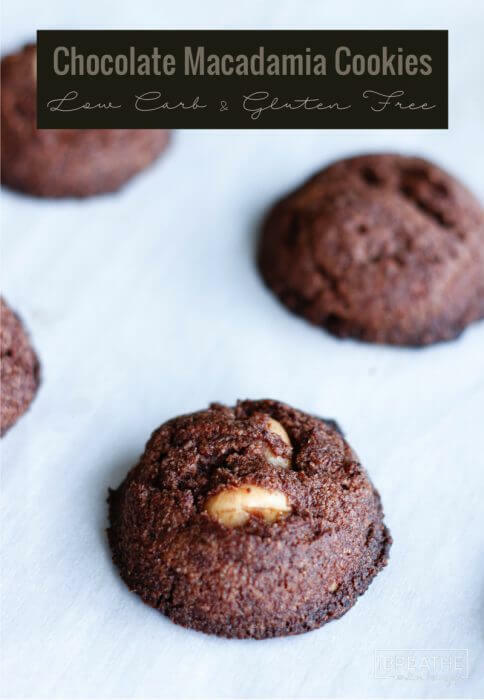 Rich and fudgy, these keto friendly Chocolate Macadamia Nut Cookies will remind you of the crisp and chewy edges of your favorite brownies! 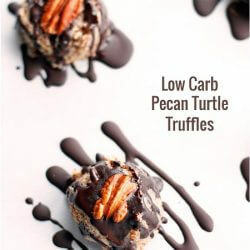 One of my favorite low carb cookie recipes so far! This is another keto cookie recipe that I actually made before we moved to Belize last year and haven’t gotten around to posting until now. Mostly because I didn’t love how the photos turned out and planned to reshoot them – it never happened. The cookies themselves were pretty fantastic though, so I’m sorry that I waited so long to share them with you! 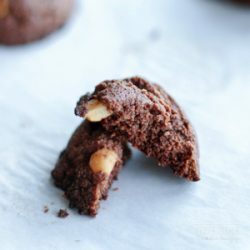 The inclusion of almond butter made these Chocolate Macadamia Nut Cookies very rich and added a chewiness that reminded me of the edge of the brownies where they are both crispy and chewy at the same time. 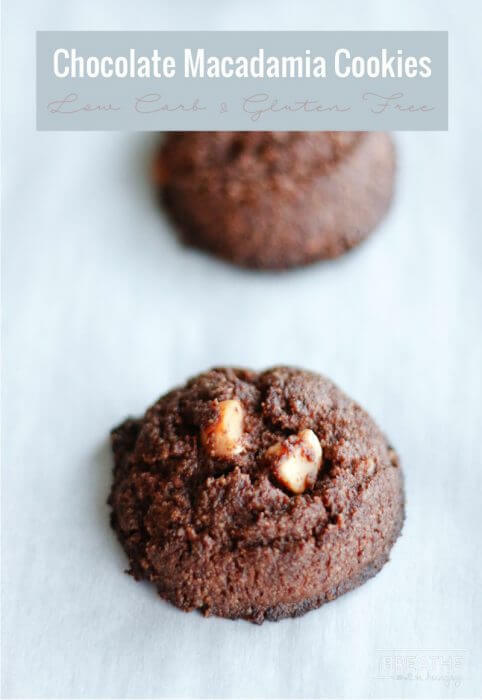 As per usual, I’m all about easy when it comes to keto baking recipes, and these low carb Chocolate Macadamia Nut Cookies are no exception. You literally throw all the ingredients in a bowl, mix with a fork, plop them onto your cookie sheet and bake for 15 minutes. These low carb cookies don’t spread much, and I liked them that way for the chewiness inside – but if you do want a flatter cookie you can press them down a bit before baking. Just be sure to adjust your baking time down to around 12 minutes or they’ll probably harden up a little too much into more of a crisp wafer – not bad, just not what I was going for with this particular keto cookie recipe. 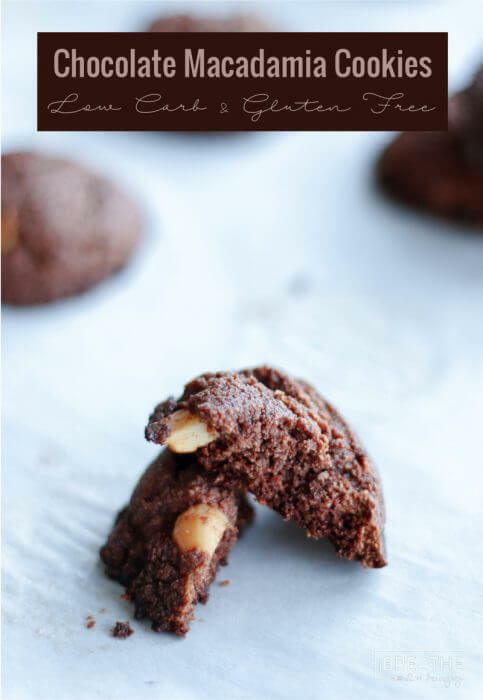 My favorite way to eat these Chocolate Macadamia Nut Cookies is with a cup of coffee. ☕️ I’m not usually a dunker, but these were so awesome with a little dip of coffee on them, and they are sturdy enough to stand up to it without ending up a heap of sludge in the bottom of your cup. Just a thought. If you experiment and end up with an amazing combo, please share your hacks with us in the comments! 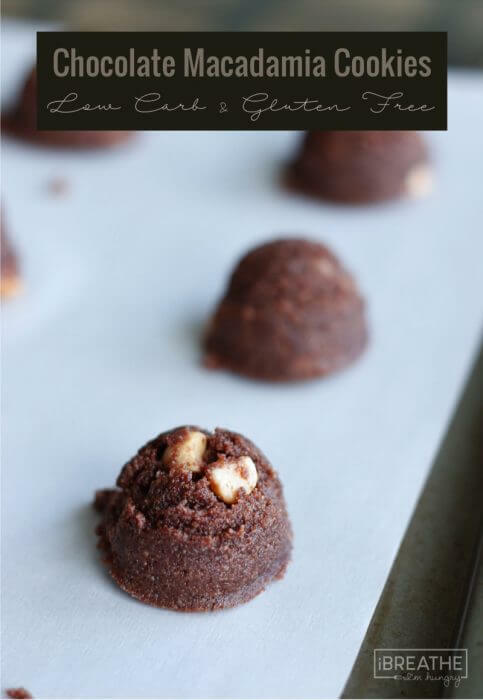 Rich and chocolatey, these low carb cookies taste like the edges of your favorite fudge brownies! Combine all of the ingredients and mix well with a fork or spoon until a stiff dough is formed. Do not overmix. Line a cookie sheet with parchment paper or grease it well. Drop by mounds approximately 1 1/2 inches wide and high and flatten slightly. Bake for 15 minutes. Remove from the oven and let cool before eating. 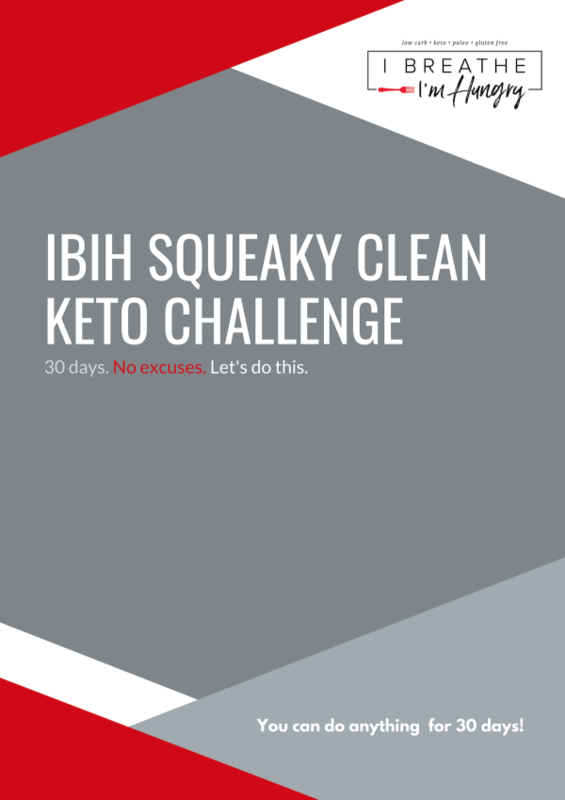 ** To see the products I currently use and recommend to get the best results with my low carb recipes, visit the IBIH Pantry Recommendations Page. Hi! I juat made these! Thank you for the recipe! The nutrition listed says 2net carbs. Do you know how many actually carbs are in the recipe? Can you sub stevia for the swerve? I know i would add less, just wondering if would throw off consistency? 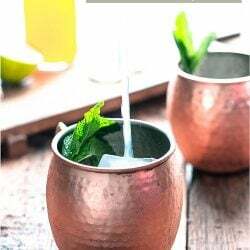 Can’t wait to try and make these! 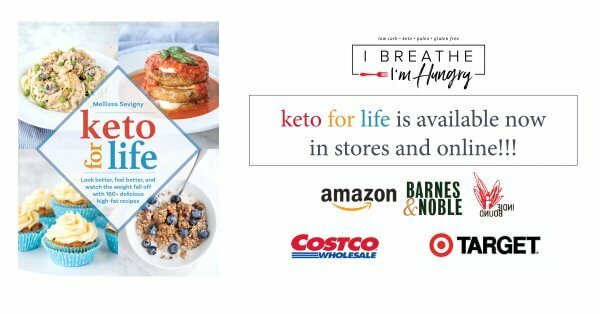 I came across your website as I was looking for low carb recipes, but not necessarily keto. Is there any way to cut down on the butter on any of your recipes? These cookies are perfectly delicious. No the texture would be totally different and they probably wouldn’t come together but instead melt all over the pan! Almond butter has the consistency of peanut butter so a natural peanut butter would be the next best thing. Hope you like them! Hi, Carolyn…Love your website! Can I use peanut butter in place of almond butter? This is Mellissa – Carolyn is All Day I Dream About Food. I think peanut butter would probably work fine, just make sure it’s all natural and doesn’t have any added sugars! Thanks, Mellissa. Oops…I’m sorry, just realized my error. I had a “senior moment”. Looking forward to making these cookies. I love your Mint Chocolate Chip cookies! Yeah…I don’t have Mint Chocolate Chip Cookies either Pam but hopefully you’ll enjoy these. made these today…they are really, really good…thanks for posting! If I use swerve would it be the same amount? Swerve is the brand of erythritol that I used, so yes. This is my first comment on any blog EVER, but I had to write to tell you I love these cookies!!! I have been making them a good six months now. I keep them in the freezer and enjoy 2 most evenings. My cookies also spread when cooking so more like a cookie that tastes like a brownie and somehow I end up with 30 cookies instead of 16 (there’s my justification for eating 2 ;-)). 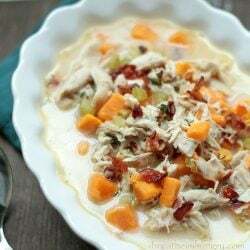 I started keto with your blog over a year ago and your recipes are usually right in line with my taste buds! Your introduction plans are the best and I always point interested people in your direction. Keep up the great work…thanks so much!!! I’m honored to be your first Christi and thanks for taking the time to let me know you liked them so much!! I’m so glad to see that you keep them in the freezer and that works! I made a batch and then thought I should have made 1/2 a batch. I’m the only one in my family on low-carb and eating 4-6 a week, I’d have to toss many of these. I’m going to freeze half of them, great idea. Just made these today, love them. First off any dessert that can be made in one bowl is a winner in my book. They have a great texture and flavor, and are hubby-approved (and he’s a picky SF eater). 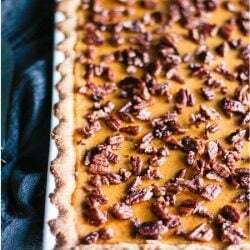 Like you said, perfect with a cup of coffee, and I can’t wait to try different variations. 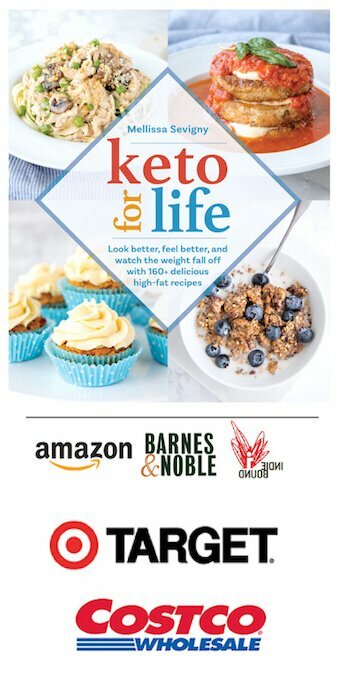 I’ve had so much success with your recipes, thank you for making keto/LCHF an amazing experience and giving me a chance to not miss out on my favorite things. Oh yumm.. these sounds great. Gotta save these to buy everything. I made these because I was jonesing some chocolate. They came out nice. I love them. However, it appears that my wife and boy love them too. I ate a couple the night I made them, and I woke up the next morning to take a couple to work and they were gone. Keep up the good work. I love Macadamia nuts. My sister in law is from Hawaii and she always brings me some at Christmas. Macadamias are my favorites. these cookies look so good! When I was making them a dough would not form so I added an egg. The cookies came out pretty tasty! They were chewy when warm and now are crispy on the outside and softer in the inside. I baked for exactly 15 mins, but I think I could go shorter next time. I want to try with Splenda too. I tried them, but they didn’t come out chewy like the recipe said – also the cookies did spread out. They ended up like regular cookies. I’m not sure what I did wrong, as I followed the recipe exactly… is it possible I overmixed it? Or didn’t mix enough? The cookies are a bit gritty and crumbly. It still tastes good, it’s just not the consistency of the edges of a chewy brownie. Were you using a super fine almond flour or an almond meal like Bob’s Red Mill? 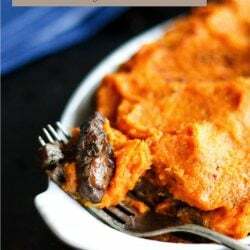 I find that the meal, which still has skins mixed in, gives a very gritty texture to baked goods so that could be it! Oh – I also had to cook an extra five minutes because at 15 minutes the cookies didn’t seem cooked all the way – a toothpick inserted in the center didn’t come out clean. Should I not have? I was also wondering – I was thinking about substituting Splenda next time. Would that work? And what do you think about using coconut flour next time? Seems like that’s even finer than even super fine almond powder. 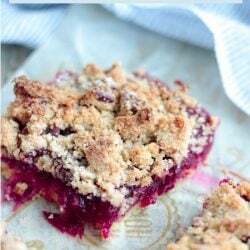 You don’t want to overcook them, that could be why they were crumbly – they should be nice and soft in the middle. I couldn’t tell you how the Splenda would work but if you try it out let us know. Okay, next time I will take them out at 15 minutes exactly. I’ll try Splenda too, and let y’all know how it worked out. Thanks for your help! I’ll let y’all know how it comes out when I try it with Splenda. 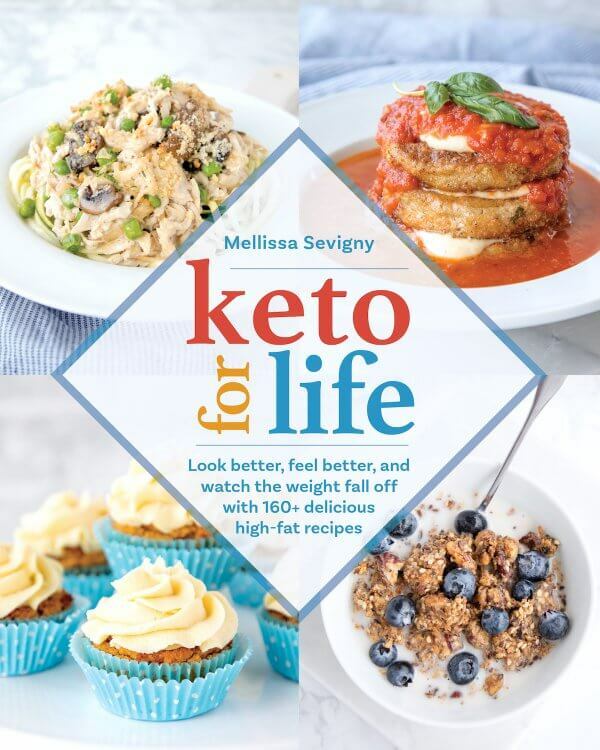 Hi Mellissa, I love your recipes and e-book cookbooks! Your recipes are amazing and I appreciate all your hard work. But….I have noticed in your nutrition facts that you are only posting net carbs now. For someone like me who is very insulin resistant this isn’t helpful. I have to go back through all the ingredient macros and re-add and then divide to get a true carb reading. 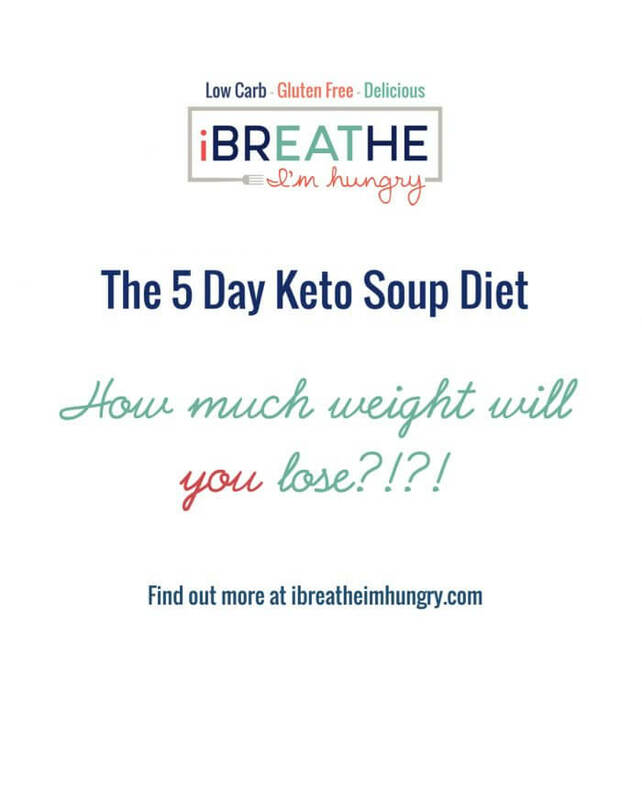 For me eating over 25 true carbs per day will completely stops my weight loss. If it isn’t more work I would love to see true carbs again. 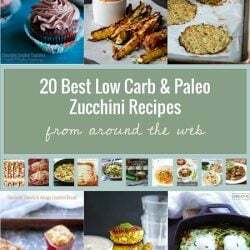 Thanks so much for everything you bring to the low carb community! Hi Carolyn! I’ve always posted net carbs because it’s so much easier. Net carbs is just easier for me – and easier for all the new people starting low carb constantly to understand. But if I figure out a way to do it easily and in a way that won’t make a ton more work for me then I’ll consider it in the future! Mine turned out too crumbly, what did I do wrong? Not sure Bill, it could be the type of almond flour you used (I used superfine) the sweetener, or even the almond butter you used if it was really dry and not smooth. Someone mentioned using an egg helped. I’m going to add one to the recipe because it will act to even out those other variables and help the cookies come together either way. Thanks or your reply Mellissa. Again I appreciate all you are doing for the low carb community. These look great! I will try them today! I’m very allergic to macadamia nuts, will have to sub in another kind but the cookies look awesome! Thanks for sharing. I don’t have macadamia nuts in the house, so as always I’m going to toast some pecans and try it out with those! These look so great. I’ll try to make them this weekend. I’m glad to hear that they hold together well because so many LC cookies are awfully crumbly. Do you think the addition of eggs would generally make things hold together better? Thanks! 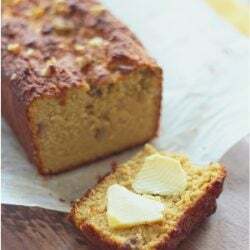 This sounds really good, I may try it with coconut flour and a little bit more liquid as I’m currently out of almond flour!